Bears quarterback Mitchell Trubisky didn’t have a long adjustment period to start his NFL career. The now 23-year-old watched from the sidelines just four games before taking over as the starting quarterback in Chicago during the 2017 season. He didn’t have a huge sample size, but he made enough of an impression to give offensive lineman Kyle Long a lot of confidence in him. Trubisky started 12 games for the Bears in 2017-18 after Chicago traded up to take him with the No. 2 overall pick. He threw for 2,193 yards with seven touchdowns and seven interceptions while completing 59.4 percent of his passes. 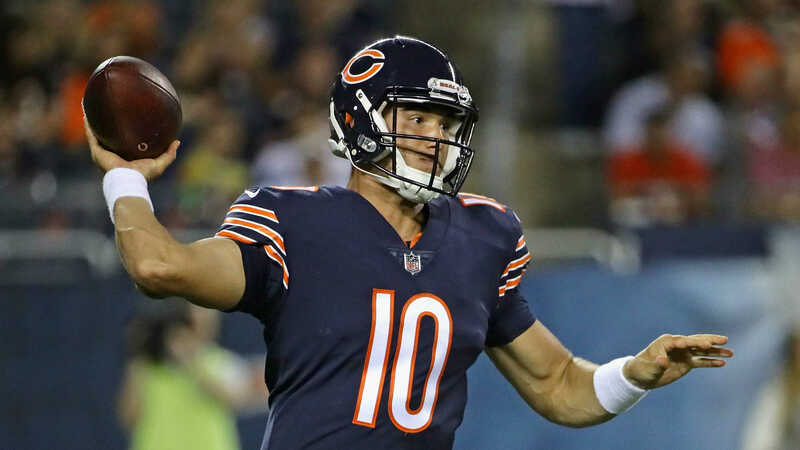 Out of the rookies who saw significant time in 2017, Trubisky was second in passing yards, completion percentage, quarterback rating and yards per attempt. While he had some growing pains and was often protected by the play-calling, what people couldn’t see was the influence he had on his teammates. Long left his first season impressed by the rookie. Chicago opens its season Sept. 9 when it travels to Green Bay to take on the Packers.